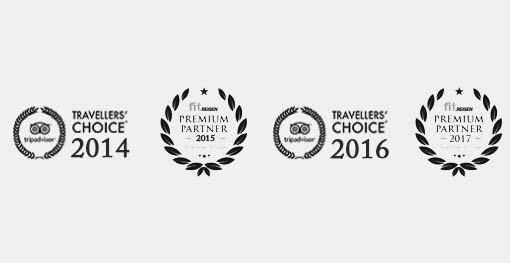 The Privilege Ayurveda resort is specialize in Panchakarma treatments in Sri Lanka with over 14 years of experience. What is panchakarma treatment ? Panchakarama treatment is one of the most essential purification treatments of Ayurveda healing. Panchakarma removes deep rooted stress which accumulates over time, which leads to an imbalance in the body. The treatments is done using several therapeutic procedures such as oleation, massages and enemas that will purify the body over period 7-13 days. Food and herbal medicine is also employed in Panchakarma for complete detoxification to ensure effective treatment. Physical discomforts caused by stress or injuries can be remarkably reduced with a Panchakarma cure; quite often, even chronic diseases can be eased significantly. The deep-seated cleansing process of a Panchakarma cure in Sri Lanka not only alleviates illnesses, it also improves general well-being. This type of detoxification makes the body more responsive to medicines and treatments, hastening the healing process making you healthier over time. During your Panchakarma holiday in Sri Lanka, Panchakarma is purifying therapy to enhance the metabolic process through food and herbal medicine. It used in deep rooted chronic disease as well as seasonal imbalance of tridoshas. With the results of Ayurvedic Panchakaram treatment, the wastes are eliminated from the body the person becomes healthy. Panchakarma treatment in Sri Lanka and in the authentic treatment world literally stands for Pancha means five and Karma means five types of actions or techniques or treatments. These type of therapeutics are based on elimination therapy passed down for thousands of years. During your Panchakarma cure in Sri Lanka, several modalities in the Ayurveda detoxification procedure use non-toxic, lipophilic materials, such as clarified butter in the oleation phase and herbalized sesame oil in the massage and enema treatments. These traditional methods are believed to sequentially loosen and remove lipid soluble toxicants from their deposited sites and stimulate their elimination. 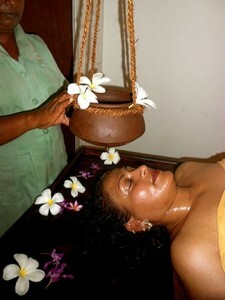 Panchakarma in Sri Lanka, is purifying therapy to enhance the metabolic process through food and herbal medicine. It used in deep rooted chronic disease as well as seasonal imbalance of tridoshas. with the results of Panchakaram treatment, the wastes are eliminated from the body the person becomes healthy. Panchakarma treatment in Sri Lankan and in the authentic treatment world literally stands for Pancha means five and Karma means five types of actions or techniques or treatments. These type of therapeutics are based on elimination therapy. During your cure with Panchakarma in Sri Lankan, several modalities in the Ayurveda detoxification procedure use non-toxic, lipophilic materials, such as clarified butter in the oleation phase and herbalized sesame oil in the massage and enema treatments. These traditional methods are believed to sequentially loosen and remove lipid soluble toxicants from their deposited sites and stimulate their elimination. Rakta Mokshana or blood letting is one of the panchakarma developed as a specialized technique. Here a small amount of venous blood is extracted by using either sharp instrument or specialized equipment or leech. It is helpful in relieving diseases of pitta origin, blood born and chronic skin diseases. Virechana or purgation therapy is a systemic therapy for the diseases of pitta dosha. Feeling of cleanliness in the channels and sense organs, lightness in the body and increase of appetite etc. are the symptoms of well administered Virecana karma. Nasya is a process by which drug is administered through the nostrils. It is useful in all the diseases manifesting above the neck (urdhwajatru gata) because it eliminates toxins through the nostril. Vamana is the procedure of eliminating waste products of the body through the upper passage by vomiting. Emesis is the therapy of choice in diseases of kapha dosha. A subjective feeling of cleanliness of the heart, chest, head etc., lightness in the body, timely passing of urine stool etc. are the features of well administered emesis therapy. From general detoxification and rejuvenation programmes, The Privilege Ayurveda Resort, Sri Lanka provides customized Ayurveda and Panchakarma treatments for almost all disorders. Experience the best of Ayurveda in Sri Lanka with us with an everlasting experience as you learn the art of self healing and healthy living.